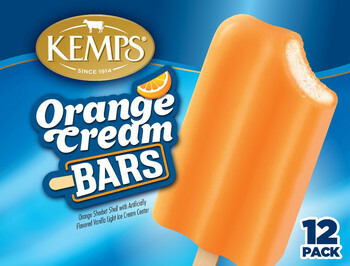 A delicious duo of orange sherbet with a vanilla ice cream center. 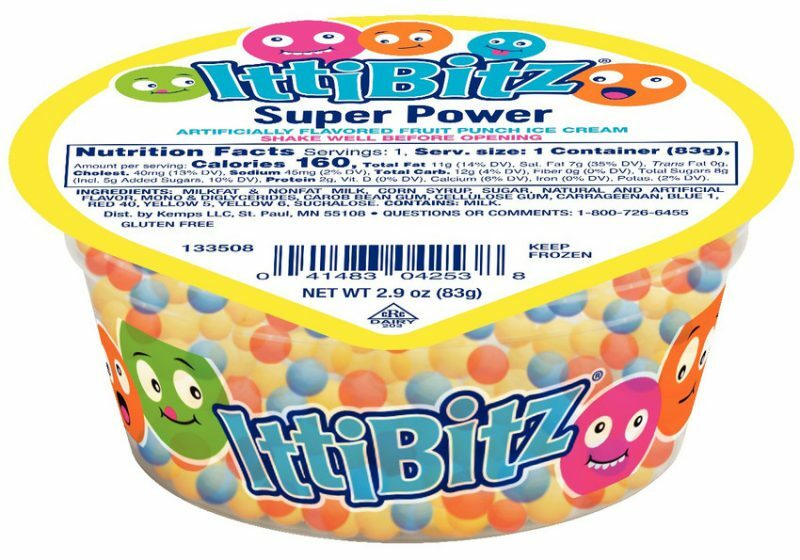 Sherbet: Water, Nonfat Milk, Sugar, Corn Syrup, High Fructose Corn Syrup, Whey, Cream, Orange Puree (Water, Concentrated Orange Juice, Orange Pulp, Corn Syrup, Natural Flavor), Citric Acid, Guar Gum, Mono And Diglycerides, Cellulose Gum, Polysorbate 80, Yellow 6. 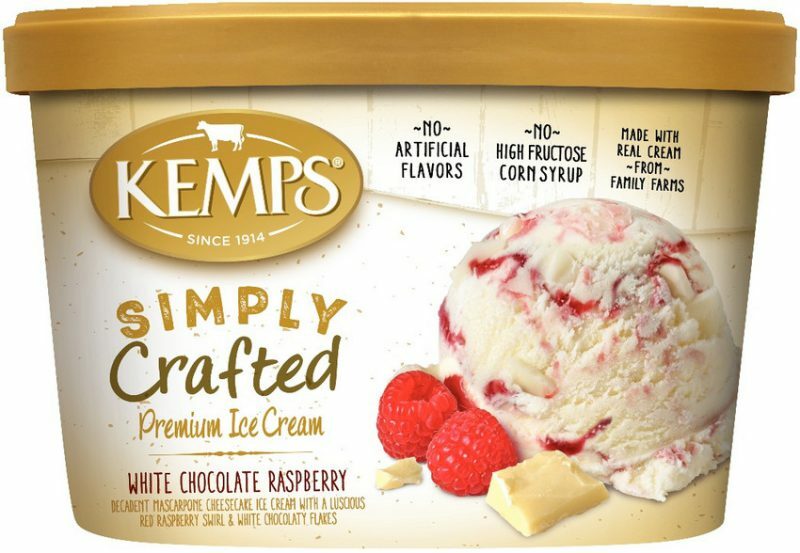 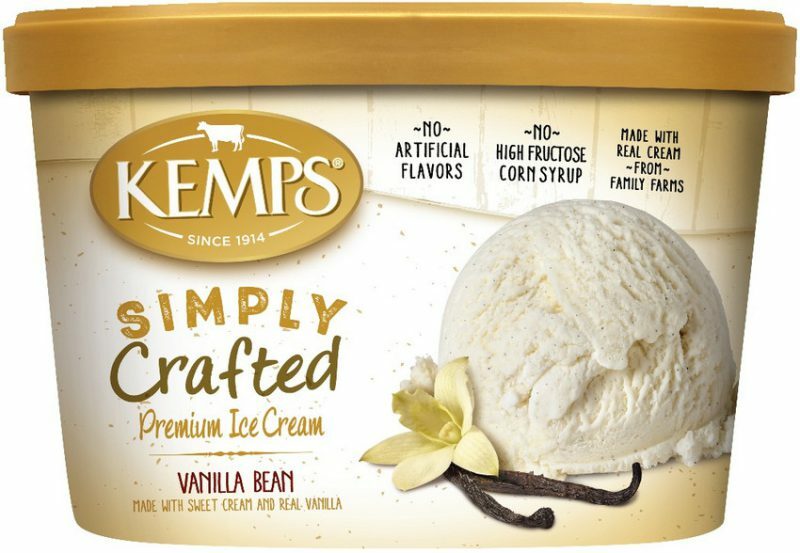 Light Ice Cream: Milkfat And Nonfat Milk, Sugar, Corn Syrup, Whey, Whey Protein Concentrate, Mono & Diglycerides, Polysorbate 80, Natural And Artificial Flavors, Guar Gum, Locust Bean Gum, Carrageenan, Vitamin A Palmitate.